I headed off with anticipation. Would they be there, would this drive deliver the outcome that I wanted, would I see what I was looking for, had my memory from last year grown bigger than the reality? 10 minutes down the road I turned off and headed along a back track towards my destination. I craned my eyes, I couldn’t see any of them and then as I came over the crest of the hill and my breath caught in my throat. 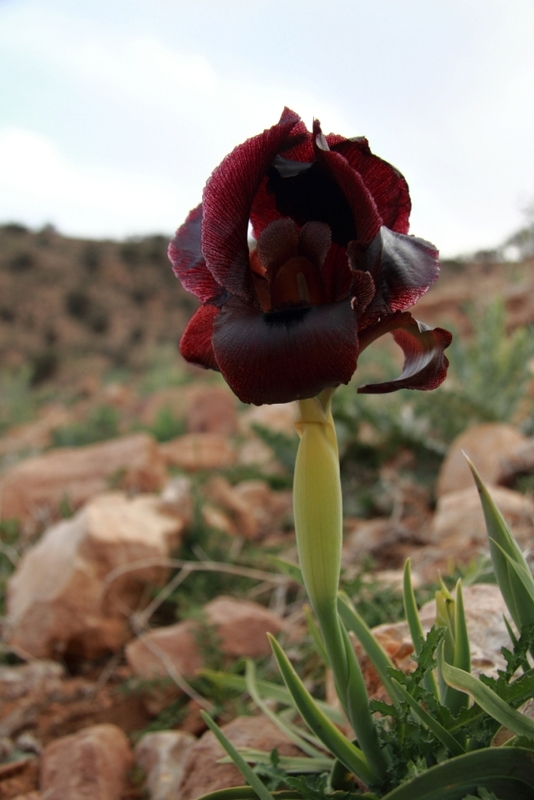 Last year I got a small taste of the black irises that grow in the wild in Jordan when I found one Petra Iris at the end of the blooming season (you can read about it here). 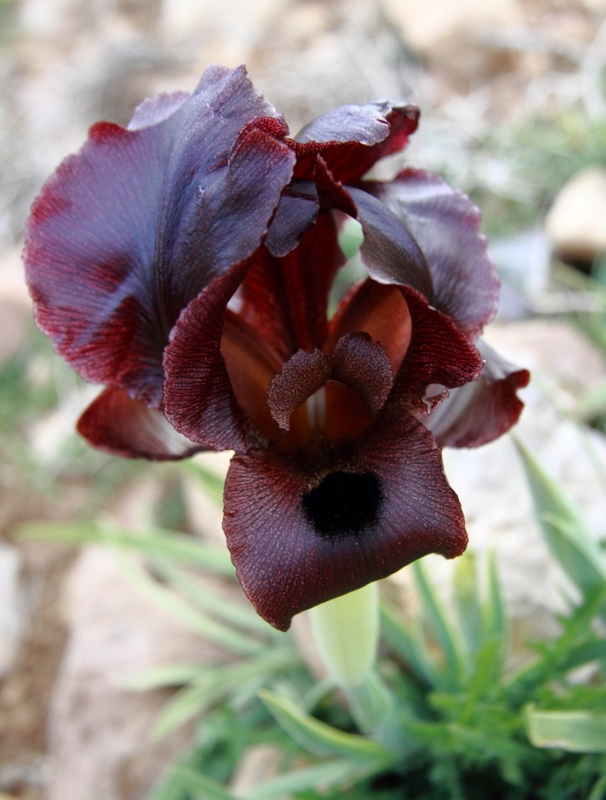 I also found a site where there were hundreds of spent blooms and I made a mental note to return to this site earlier in Spring for the following year. Last week I visited the site and I was not disappointed. 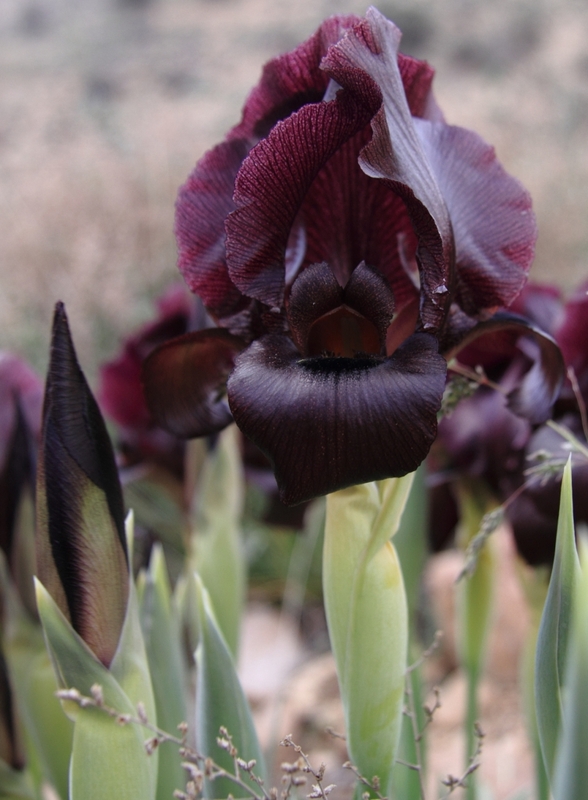 There were hundreds of black irises standing tall and regal on their stems and with hundreds more to come. 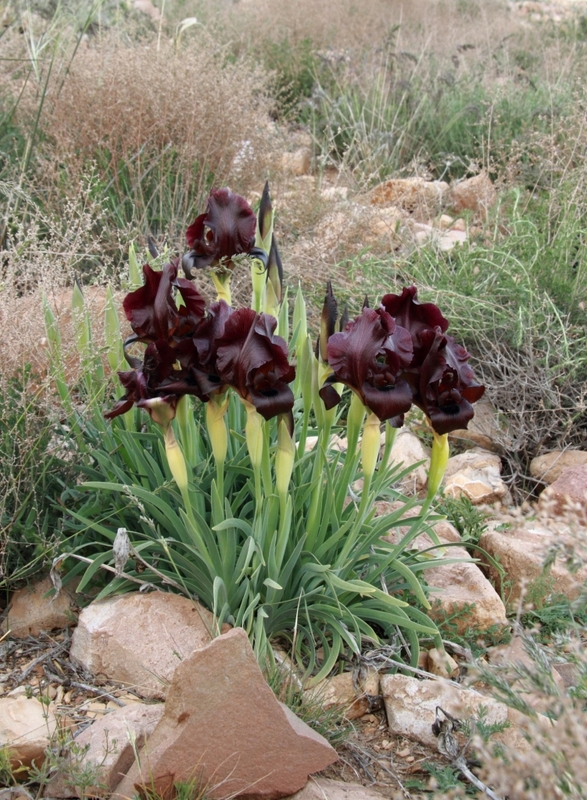 There are 4 irises that grow in the wild in Jordan who’s colour is classified in the black range. 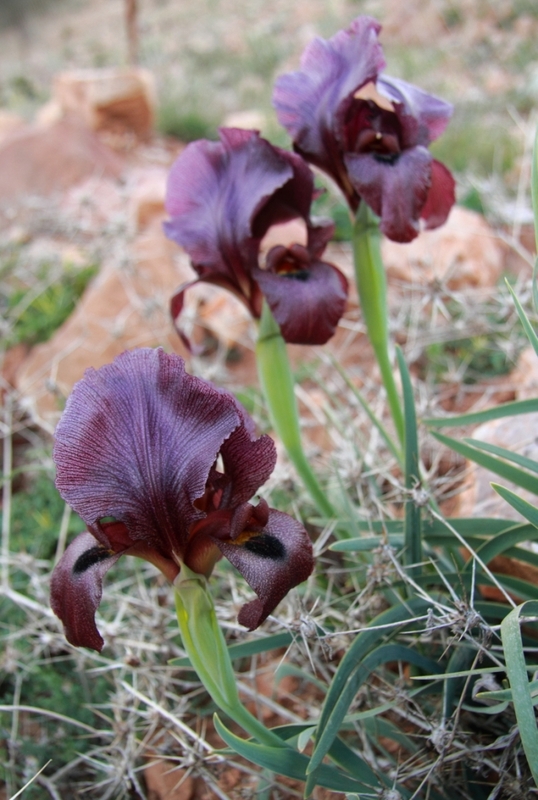 The colour variation in the stunning flowers at this site range from chocolate brown to deep purples to even verging on black (see the last photo in the post). 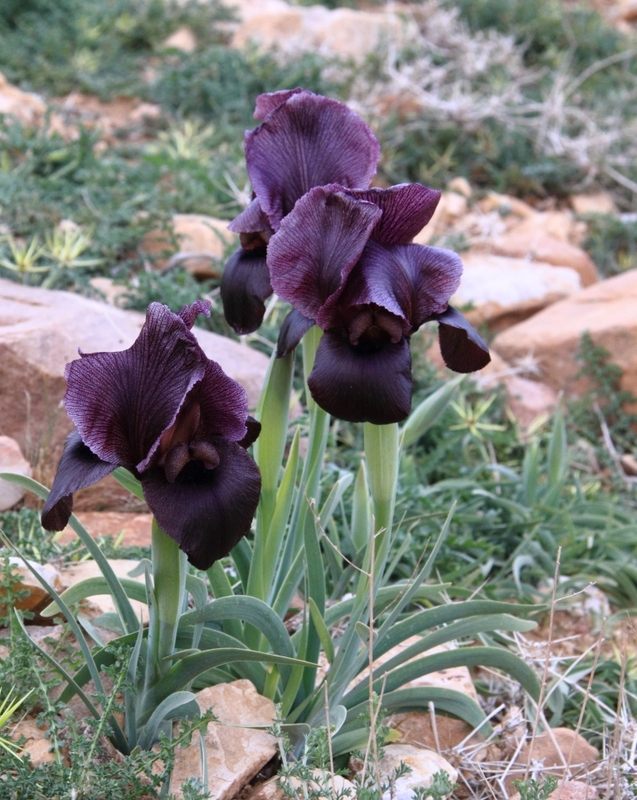 According to the information on the RSCN (Royal Society for the Conservation of Nature) the black iris found in the south of Jordan are Iris Petrana (Petra Iris), but I can’t help but wonder if there might be more than one type as this site due to the large variation in colours. I am looking foward to visiting this site a few more times over the next few weeks. Thank you for making my Sunday! 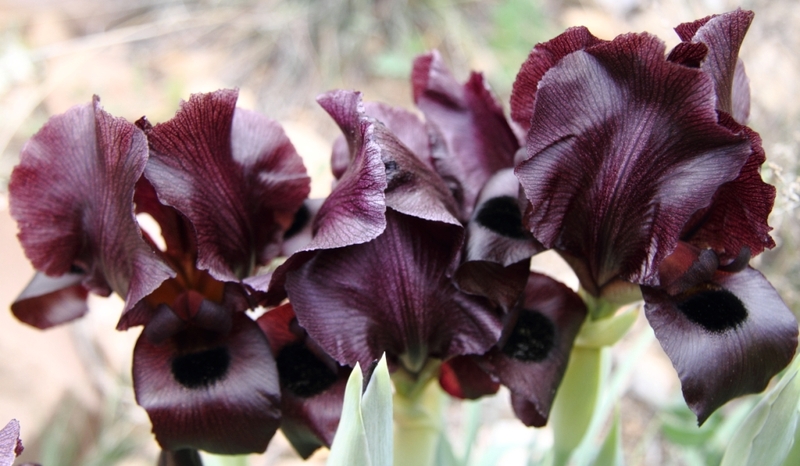 I absolutely love irises and these are beautiful. 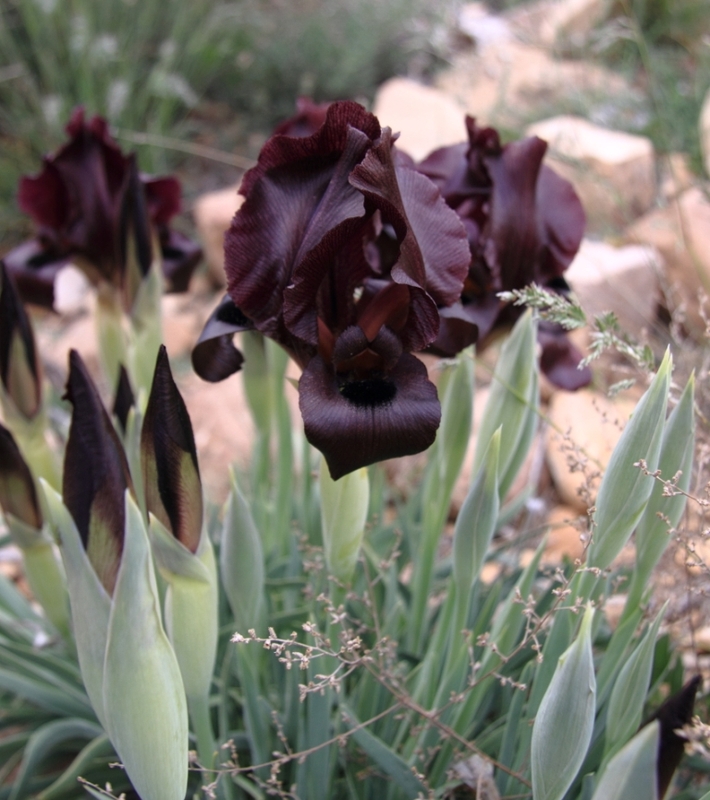 As you may remember, if you were interested in gardening back home, black, black/blue and black/purple are available in specialist garden firms but they certainly do not make a wonderful show like this anywhere in nature!! Enjoy! Hope you’ll be able to go for another look before the end of the season! 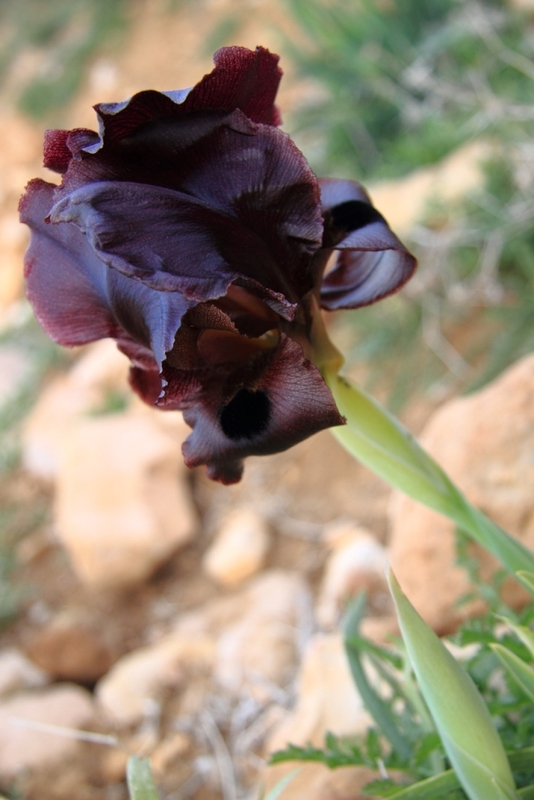 How incredible – what extraordinarily beautiful flowers. They are really beautiful. 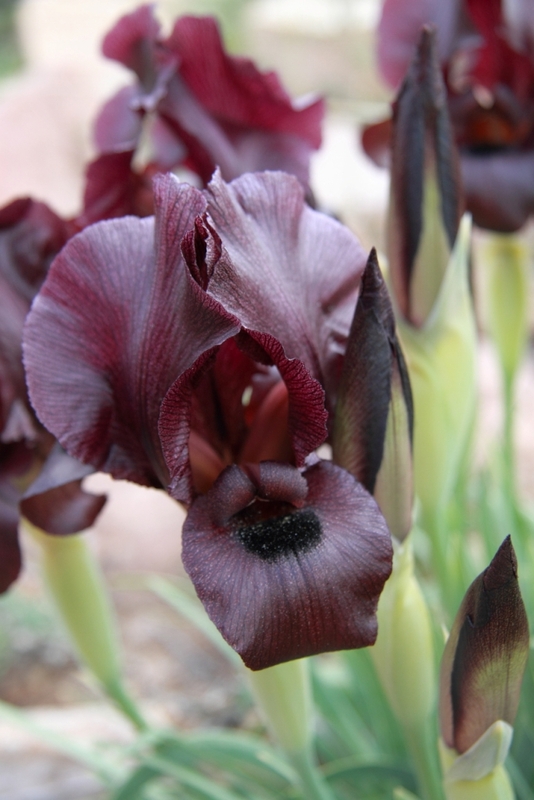 I’ve never seen irises that colour – so deep and mysterious. 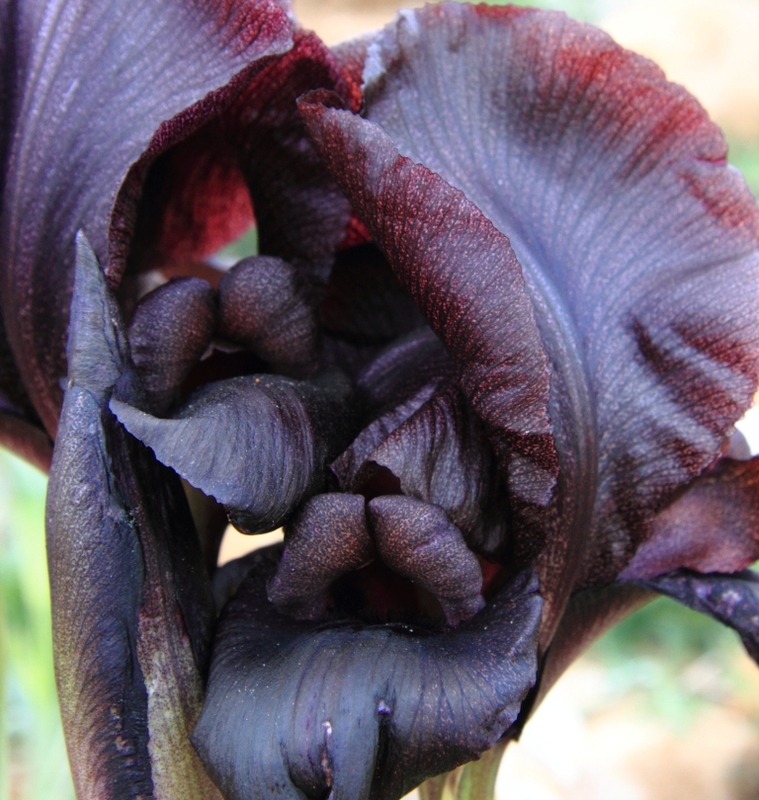 I’m enjoying your photos and I’m so glad you were able to observe such an abundance of beautiful black irises! 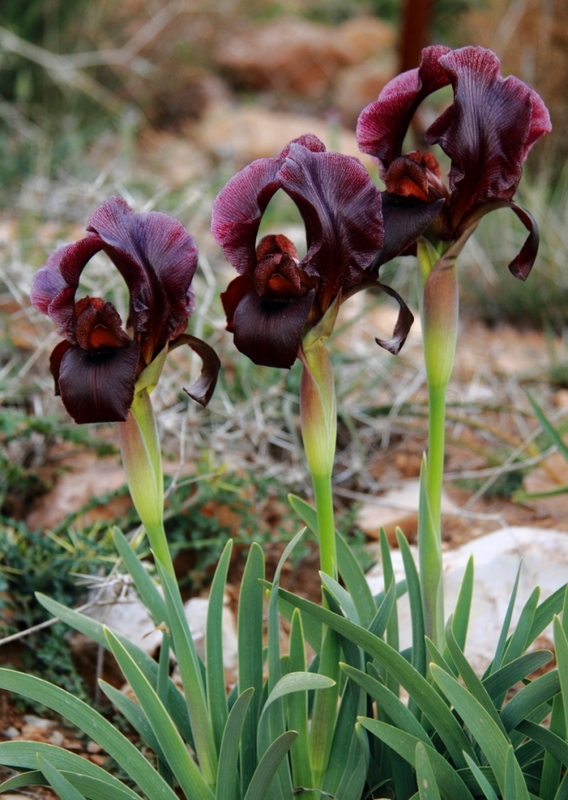 I’d not seen the Iris petrana until last week when we visited some friends in Naqab for Easter. 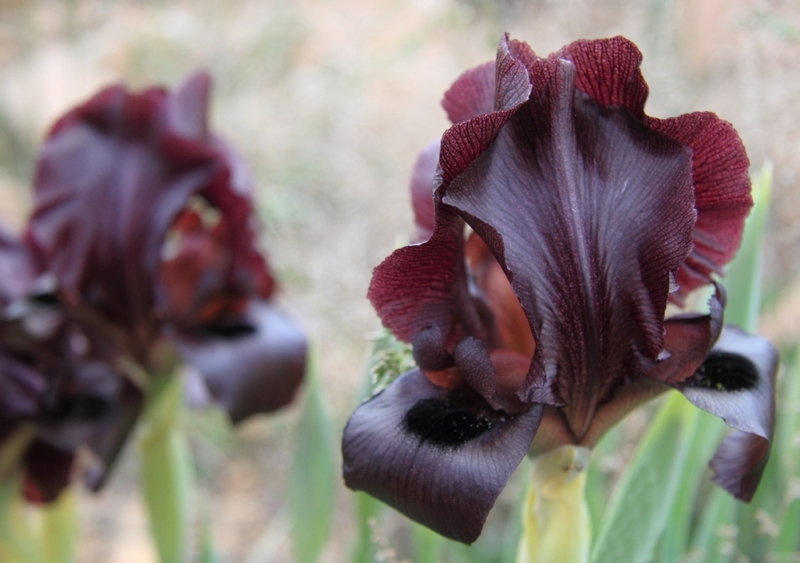 The irises were almost all spent by then, but we were able to see a few. I was amazed at how green the area was for mid-April. Our friends said it was the greenest spring in 23 years. 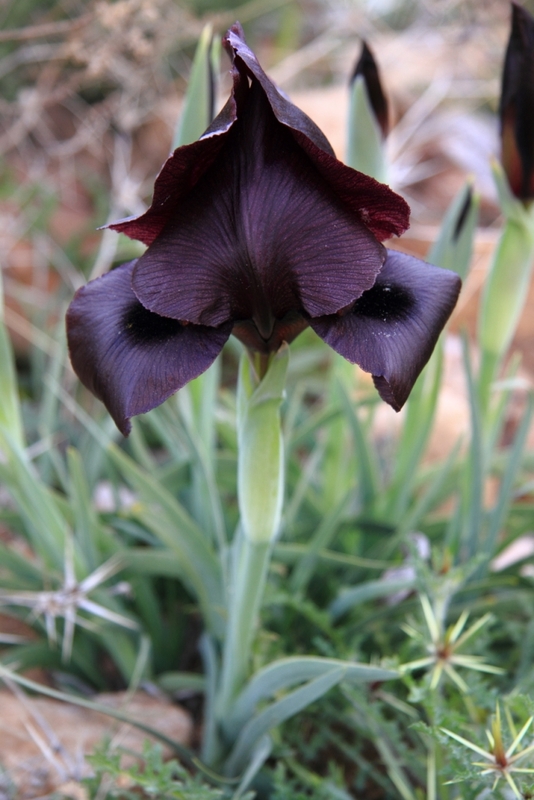 I enjoyed your post on waiting for the flocks, too–lovely writing and pictures. I especially like the one of the shepherd and the sunset.